Is a Fleetwood RV for you? Fleetwood RV has long been recognized as an industry leader in innovation and quality products along with the other recreational vehicle giants like Holiday Rambler, Monaco, and Newmar. They offer a full line of recreational vehicle products like pop-up camp trailers, fifth wheels, and motor coaches. But, as a savvy shopper, you want to get the best deal on an RV that you can get. One way to do this is to shop at a wholesale dealer that not only offers great deals on brand new RVs but also terrific prices on pre-owned RVs as well. If you are interested in a used Fleetwood RV then you should visit PedataRVCenter.com. You will find a full line of brand new Holiday Rambler RVs for thousands less than the other dealers, and you will also find an amazing selection of pre-owned motor homes, including Fleetwood RV, for low, low prices. Buying a used RV from a private seller rather than a dealer has its risks. There will be no extended warranty, you will have to put together your own financing solution, and you will have few guarantees as to the condition of the vehicle. Although you may appear to get a better price initially, in the long run, you may end up paying more for it. Buying a used recreational vehicle like a Fleetwood RV from a reputable dealer ensures that you will have more protection over the long run and access to better financing and customer service. If you are looking for a towable motor home, mini motor home or a motor coach, you might want to look at a brand new Holiday Rambler rather than a new or used Fleetwood RV. Pedata has wholesale prices on all of their new Holiday Rambler travel trailers, fifth wheels, and motor coaches. You can get it custom designed to your taste for less than you would pay for a brand new Fleetwood and the quality is exceptional. Just as Fleetwood RV has made innovations in the last few years to make their products more appealing and luxurious to customers, so has Holiday Rambler. If you purchase a new Holiday Rambler you may get some of the features and technology that are not available in the older models of Fleetwood RV at a comparable price and you will be able to custom order it to your tastes. At Pedata, not only do they have a wide selection of new and used motor homes they offer a great deal of information on buying and selling motor homes. You can learn about the different types of motor homes as well as the best way to finance your RV and view testimonials from people who have bought motor homes from them. 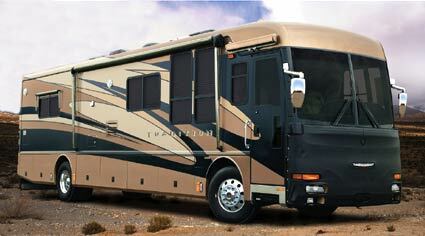 Fleetwood RV is just one of the many quality used vehicles that they offer. Financing any recreational vehicle is a concern for most buyers. With online tools like an online recreational vehicle calculator you can see how much recreational vehicle you can afford and roughly what your payments on your used Fleetwood RV or any other new or used recreational vehicle in our inventory will be. Whether you choose a pre-owned Fleetwood, or a brand new Holiday Rambler you will be impressed with the quality of the construction and the attention to details that the leading recreational vehicle companies are providing to consumers. Whether you are looking for a recreational vehicle to take with you to your next NASCAR event or something to take the family camping on the weekends you will find something that will suit your budget and your lifestyle. Motor homes have been around for awhile, but there has never been a better time to buy.